Housing finance experts are alarmed at the Obama administration push to lower lending standards for home loans to spur the recovery. The Washington Post reported on the administration’s move Tuesday, noting that the administration thinks the housing market is "leaving too many people behind." "It’s asking for trouble," said Ed Pinto, a former top official for Fannie Mae who is currently a housing finance expert at the American Enterprise Institute. "The administration seems to be doing exactly what was done in 1992 when Congress adopted the affordable housing requirements for Fannie Mae and Freddie Mac [which] eventually produced the financial crisis of 2008," said Peter Wallison, a member of the Financial Crisis Inquiry Commission that looked into the 2008 financial collapse. The administration’s housing officials want the Justice Department to assure lenders that they will not be held liable for issuing risky loans that consequently default, the Post reported. The Post also reported that the administration is leveraging its agencies, such as the Federal Housing Administration (FHA), to encourage private lenders to loan to more people, including those with lower credit scores. "Relying on the FHA, they’re the agency that helped crash the credit market," said John Berlau, a finance expert at the Competitive Enterprise Institute. "Why doesn't the Obama administration try something that's not that hard, but goes against its core belief in big government?" Berlau said. "Stop subsidizing and mandating banks to make mortgages to those with weaker credit, yet at the same time repeal Dodd-Frank and other excessive regulations." Wallison disagreed with the idea that the administration is actually helping lower-income families and individuals or those with lower credit scores. He said mortgage applicants with a FICO credit score below 660—the median is 720—have an expected default rate of about 25 percent. "We set up people for a lot of heartache when they lose their homes," Wallison said. Pinto said this kind of risky loan could have a disproportionate impact on a few communities. "When you make this kind of risky loans, they don’t get evenly disbursed around the country," Pinto said, noting that the lower income neighborhoods would have to bear the brunt of the impact. Pinto said the FHA has a "very long history" of financing failing home loans. It has had a 12 percent foreclosure rate since 1975. The FHA, which helps finance mortgages by insuring them and guaranteeing banks their repayment, began lowering their standards for the quality of the loan that they would insure. 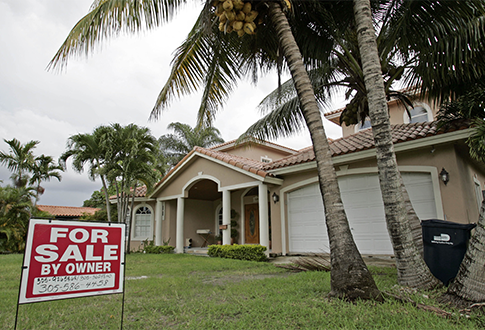 This allowed people with lower credit quality and lower income to qualify for mortgages and also caused the foreclosure rate shot up, Pinto said. Pinto and Wallison contrasted FHA’s housing underwriting standards with the U.S. Department of Veterans Affairs. The VA both calculates the debt-to-income ratio for loan applicants more rigorously than the FHA, and then goes beyond this to look at other expenses, Pinto said. Wallison attributed the administration’s policy shift to a misunderstanding of the fundamental cause of the financial crisis. The administration argues that the cause was greed on Wall Street and risky loans, Wallison said. He said the real cause was a housing bubble that took down financial firms who were over-invested in subprime mortgages that all defaulted at once. The government created that bubble by lowering standards, Wallison said. "They are simply rewarding their constituents," Wallison said, referring to low-income and young homebuyers. Berlau argued for a more free market-based system that would not put the financial system at risk while still serving "different levels of borrowers." "Home ownership should be based on the ability of people to afford it," Wallison said. All three experts lamented the shift. "It’s just a recipe for disaster," Pinto said. This entry was posted in National Security and tagged Federal Bureaucracy, Financial Crisis, Obama Administration, Obama Economy, Veterans Affairs. Bookmark the permalink.